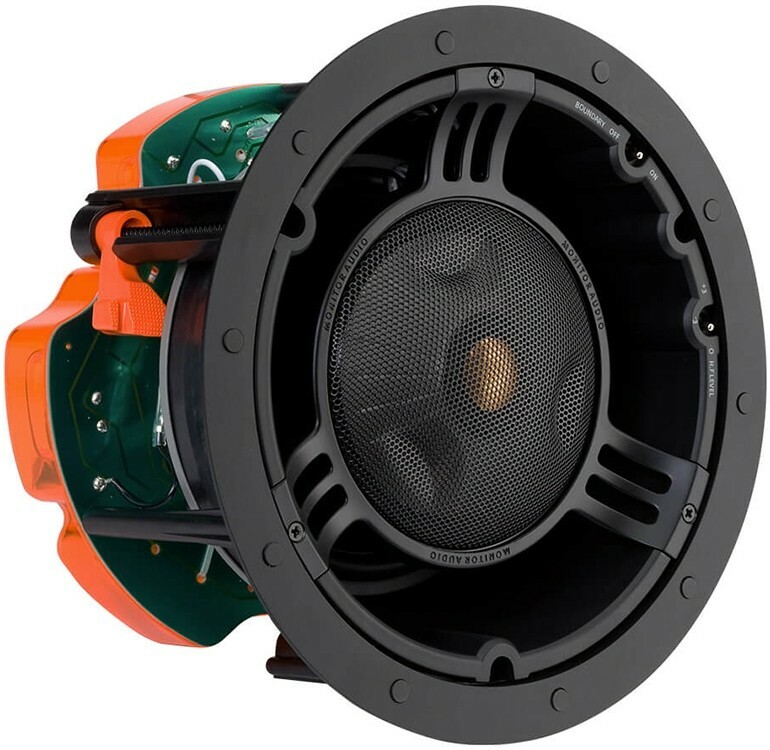 C265IDC features true three way design coupling a 6.5" C-CAM cone driver with pivoting IDC module with 4" C-CAM RST inverted mid driver and a 1" gold dome tweeter. Earn 230 loyalty points when you order this item. 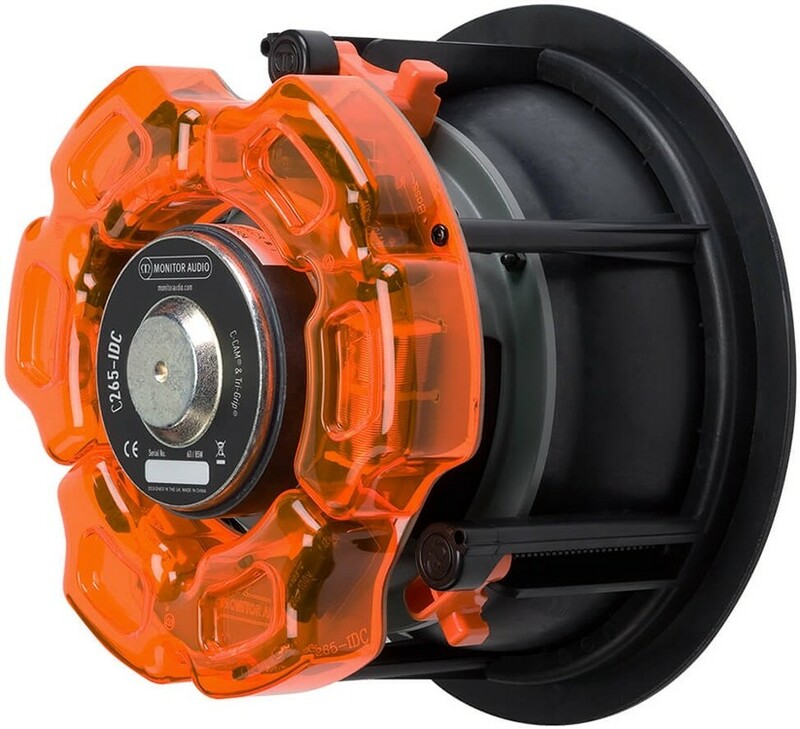 Monitor Audio C265IDC Ceiling Speaker is distinguished by its IDC module housed in the 6 1/2" C-CAM bass driver paired to a 4" C-CAM RST inverted midrange driver and a 1" C-CAM Gold Dome tweeter. 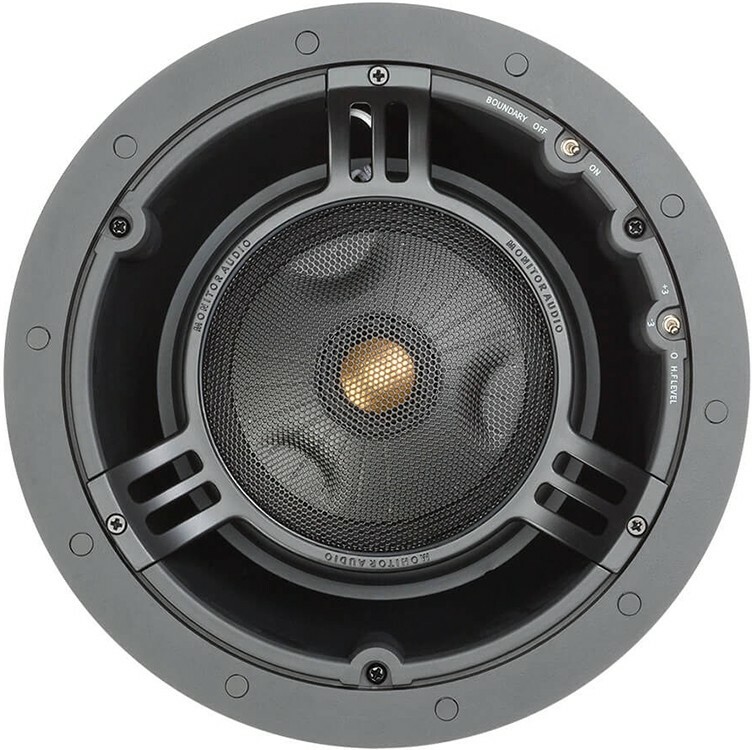 True 3-way design offers rich midrange detail, higher system output, better power handling, and superior vocal intelligibility and sound localisation. Optimum imaging and set-up can be configured via the pivoting IDC, high frequency level adjustment and boundary compensation function. This speaker can also be supplied with square or premium grille as an optional extra.